A step-by-step video course and curriculum on how to lead a life-changing college essay workshop. This online video course provides counselors with everything they need to lead their students through a life-changing college essay workshop. 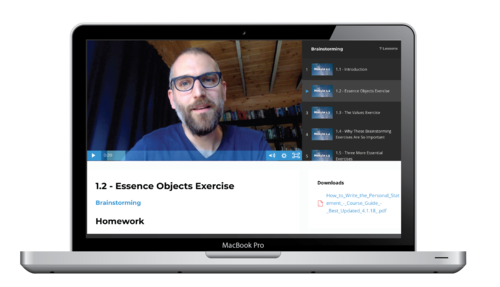 With over 12 hours of video content it's the most comprehensive course of its kind. This course includes content geared specifically to counselors that answers frequently asked questions about leading a college essay workshop and provides solutions to the most common workshop struggles that counselors face. You’ll watch the few video lessons, which you’ll have access to as soon as you register. Complete a few homework assignments to build confidence and understand the structure. Watch Q&A Sessions where I share best practices and discuss specific questions and essay workshop struggles. This year’s Live sessions are now closed. But don’t worry. You can watch the video lessons and recordings of the Q&A sessions at your own pace. Watch them wherever and whenever you’d like. You’ll get 6 hours of video lessons and 6 hours of recorded Q&A sessions with me that walk you through my favorite methods and resources for helping a group of students brainstorm and write compelling college essays. No problem. You’ll have access to the video recordings and course material forever. 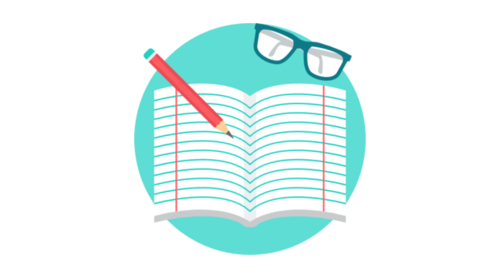 The lessons and exercises in this course cover everything from helping your students choose a topic to polishing a final draft. Plus, bonus material to keep the momentum going after the workshop has ended. The exercises and activities I use with my own students in PDF or web format, plus an online student guide you can share directly with your own students. Take the course and try it out. Not happy? You'll get your money back. Each year I help thousands of students and counselors around the world through my online courses, workshops, articles, products, and books. I’ve led hundreds of workshops around the country and world and I’m excited to share what I’ve learned with you. In this online course, I distill the best and most effective college essay writing resources I have ever used in my workshops. I’ll personally walk you through how I guide students from "I have no idea what to write about" to "That's the best thing I've ever written." “The best workshop I've been to in 35 years in the profession." As a counselor I appreciate how I can replicate (or try really hard to replicate) your sessions because you’ve outlined and scripted it all. We need scripts until we embed practices and make them our own. The entire How to Lead a Life-Changing Workshop course. One year of access to the Essay Workshop in a Box: Premium Counselor Version, the workshop curriculum that serves as the basis of this course. The Complete College Essay Guy Video Library. Over two dozen videos that I use with my own students to help them with their particular struggles. A private Facebook Support Community for Counselors. Share best practices and learn from hundreds of other counselors. The student guide. Access for your students to the simple step-by-step student guide so you can walk them through the entire process. Includes all of the brainstorming activities, questionnaires, and exercises I use with my own students. Lifetime video access. Over 6 hours of video lessons, plus 6 hours of live sessions that you can watch live with more or anytime via the recording. Practicums. Get experience practicing using the tools and resources I cover throughout the course. Q&A Sessions. I answer commonly asked questions and cover issues you might be having with your students. Having trouble inspiring them? Having trouble keeping them on track? I think I can help. Outlines for leading workshops over one, two, and three days, plus multi-week workshop guides. Want to put your workshop skills to practice in-person with me? Consider joining for my Advanced Workshop Retreat in Los Angeles. I’m hosting a a 3-day workshop training retreat in Los Angeles with a handful of other counselors where you’ll dig deep, reflect on what it means to be a leader and counselor, watch your speaking skills grow, and connect with the College Essay Guy team. In May, I’m taking myself and my team of college essay coaches and workshop facilitators through a weekend retreat. I’m opening up this retreat to 12 other counselors who plan to take my live How to Lead a Life-Changing Workshop course in April and May. And just like for my counselor retreat in May, I’ve convinced Sara Ness from Authentic Revolution to Co-Facilitate with me. Here is more on Sara. Already Purchased the Online Course and want to join the retreat? Access is really important for me. In fact, it’s at the heart of most everything I do, and it’s why so many resources on my site are free or pay-what-you-can. Are you a public high-school counselor or CBO that works with primarily low-income students? Click below to request a spot. Please explain why you’d like a Pay-What-You-Can spot. Tell us a bit about the students you serve and the school/organization you represent. I’d like to know more about the workshop before I commit--can you share more? 1. Workshops are an incredibly efficient way of helping students write a first draft of a personal statement. It turns out that much of the college essay work can, in fact, be accomplished in a group setting. 2. You're unlikely to find a course anywhere that addresses the particular concerns of leading a personal statement workshop, and you definitely won't find one that addresses the particularities in such a practical, detailed, and step-by-step way. How can I help 30 (or 300) students choose a great topic without having to meet individually with every single one? Which parts of the college essay writing process can be automated, and which can't? How can I keep students fully engaged and productive for several consecutive hours without getting bored or burnt out? Why should I stop my workshop before 3pm? How much time should I ideally spend on each exercise? How can I help my students identify a solid structure--in about an hour--again, without having to meet individually with each one? How can I help my students delve more deeply into themselves, especially if they've chosen a superficial topic? How do I teach my students to revise their essays on their own so that when I get their first draft it's actually pretty decent? Should students get feedback? When? From whom? Do STUDENTS need the book? It's not necessary, but the course comes with a free copy for you, the counselor. If you’d like to place a bulk order for your students, please go here. AREN'T YOU giving a lot away? Yes. Why? I want to help more students, and the best way I can think to do that is by helping more counselors. Our FAQ page has you covered. Or if you can't find the answer there, shoot us an email.